Queensland state titles. Great event. 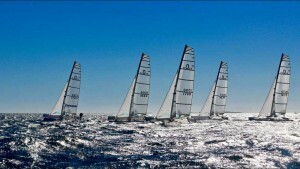 Mission beach – Great fun regatta and Nacra’s win as well. 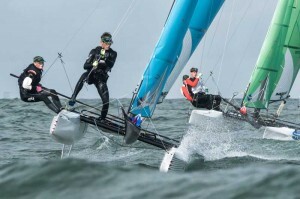 With over 30 plus square top sails sold already the Nacra 5.8 is going through a growth period at the moment with many top sailors coming back to the class and older boats being updated all the time. 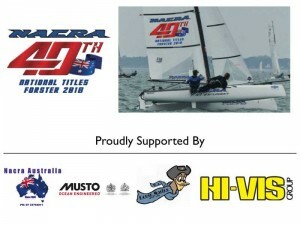 This year will see the 40th Nacra nationals being held at Forster NSW from 30th December to 4th January. 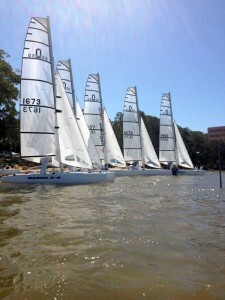 A fleet of off 62 boats recently competed at the 38th Nacra national titles at Lake Cootharaba Queensland. 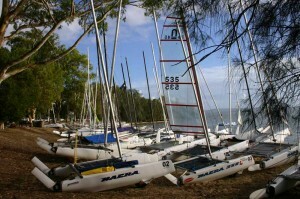 Nacra Australia has developed a new square top mainsail for the Nacra 14sq. 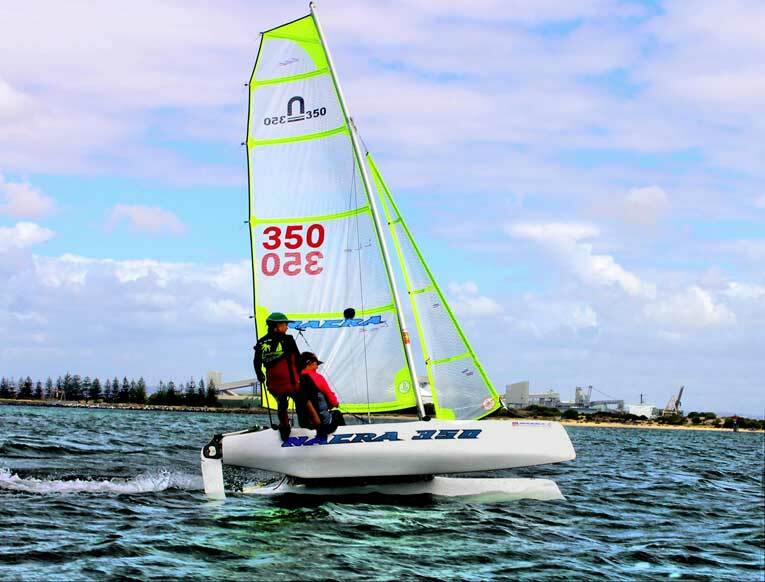 Nacra Australia has developed a new Sail plain for the Nacra 5.8. We have a special for the first 20 sold. 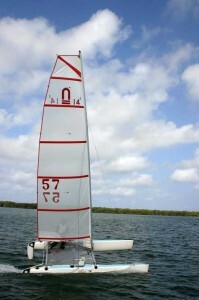 The 11ft catamaran is designed to teach children the enjoyment of catamaran sailing. 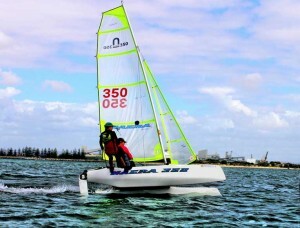 The Nacra 350 will be available in 2 versions. 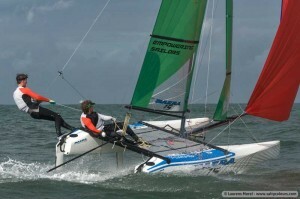 New test on Nacra 350 courtesy of Multihull world.